The man who led Britain’s first Environment City is to address our first Eco Church Conference of 2018 next month (February) on his home patch. 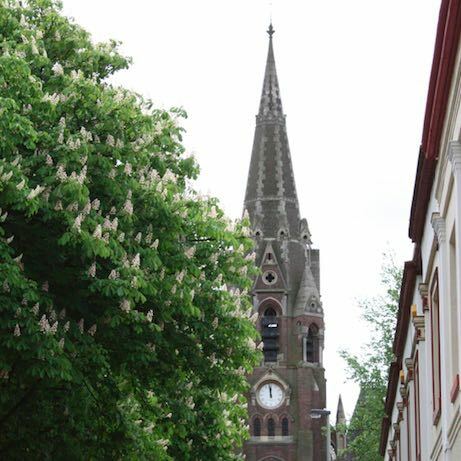 A former trustee of our sister charity A Rocha International, Rodney Green is one of the speakers at ‘God’s Earth, Our Mission’ on 24th February at Holy Trinity Church, Leicester (pictured). Rodney was Chief Executive of Leicester City Council from 1996-2008. During that time, it won nine Beacon Council awards for innovation and excellence and became Britain’s first Environment City, first European Sustainable City and first major city to win the EU’s Eco-Management and Audit Scheme accreditation.